We are very delighted that you have shown interest in our enterprise. Data protection is of a particularly high priority for the management of Tenuta Goro Veneto. The use of the Internet pages of Tenuta Goro Veneto is possible without any indication of personal data; however, if a data subject wants to use special enterprise services via our website, processing of personal data could become necessary. The processing of personal data, such as the name, address, e-mail address, or telephone number of a data subject shall always be in line with the General Data Protection Regulation (GDPR), and in accordance with the country specific data protection regulations applicable to Tenuta Goro Veneto. direct authority of the controller or processor, are authorized to process personal data. protection is: Tenuta Goro Veneto. string through which Internet pages and servers can be assigned to the specific Internet browser in which the cookie was stored. This allows visited Internet sites and servers to differentiate the individual browser of the data subject from other Internet browsers that contain other cookies. A specific Internet browser can be recognized and identified using the unique cookie ID. site may be entirely usable. data and information are stored in the server log files. Collected may be (1) the browser types and versions used, (2) the operating system used by the accessing system, (3) the website from which an accessing system reaches our website (so-called referrers), (4) the sub-websites, (5) the date and time of access to the Internet site, (6) an Internet protocol address (IP address), (7) the Internet service provider of the accessing system, and (8) any other similar data and information that may be used in the event of attacks on our information technology systems. content of our website correctly, (2) optimize the content of our website as well as its advertisement, (3) ensure the long-term viability of our information technology systems and website technology, and (4) provide law enforcement authorities with the information necessary for criminal prosecution in case of a cyber-attack. Therefore, Tenuta Goro Veneto, analyzes anonymously collected data and information statistically, with the aim of increasing the data protection and data security of our enterprise, and to ensure an optimal level of protection for the personal data we process. The anonymous data of the server log files are stored separately from all personal data provided by a data subject. The data subject has the possibility to register on the website of the controller with the indication of personal data. Which personal data are transmitted to the controller is determined by the respective input mask used for the registration. The personal data entered by the data subject are collected and stored exclusively for internal use by the controller, and for his own purposes. The controller may request transfer to one or more processors (e.g. a parcel service) that also uses personal data for an internal purpose which is attributable to the controller. By registering on the website of the controller, the IP address —assigned by the Internet service provider (ISP) and used by the data subject— date, and time of the registration are also stored. The storage of this data takes place against the background that this is the only way to prevent the misuse of our services, and, if necessary, to make it possible to investigate committed offenses. Insofar, the storage of this data is necessary to secure the controller. This data is not passed on to third parties unless there is a statutory obligation to pass on the data, or if the transfer serves the aim of criminal prosecution. The registration of the data subject, with the voluntary indication of personal data, is intended to enable the controller to offer the data subject contents or services that may only be offered to registered users due to the nature of the matter in question. Registered persons are free to change the personal data specified during the registration at any time, or to have them completely deleted from the data stock of the controller. The data controller shall, at any time, provide information upon request to each data subject as to what personal data are stored about the data subject. In addition, the data controller shall correct or erase personal data at the request or indication of the data subject, insofar as there are no statutory storage obligations. A Data Protection Officer particularly designated in this data protection declaration, as well as the entirety of the controller’s employees are available to the data subject in this respect as contact persons. On the website of Tenuta Goro Veneto, users are given the opportunity to subscribe to our enterprise’s newsletter. The input mask used for this purpose determines what personal data are transmitted, as well as when the newsletter is ordered from the controller. Tenuta Goro Veneto informs its customers and business partners regularly by means of a newsletter about enterprise offers. The enterprise’s newsletter may only be received by the data subject if (1) the data subject has a valid e-mail address and (2) the data subject registers for the newsletter shipping. A confirmation e-mail will be sent to the e-mail address registered by a data subject for the first time for newsletter shipping, for legal reasons, in the double opt-in procedure. This confirmation e-mail is used to prove whether the owner of the e-mail address as the data subject is authorized to receive the newsletter. During the registration for the newsletter, we also store the IP address of the computer system assigned by the Internet service provider (ISP) and used by the data subject at the time of the registration, as well as the date and time of the registration. The collection of this data is necessary in order to understand the (possible) misuse of the e-mail address of a data subject at a later date, and it therefore serves the aim of the legal protection of the controller. The personal data collected as part of a registration for the newsletter will only be used to send our newsletter. In addition, subscribers to the newsletter may be informed by e-mail, as long as this is necessary for the operation of the newsletter service or a registration in question, as this could be the case in the event of modifications to the newsletter offer, or in the event of a change in technical circumstances. There will be no transfer of personal data collected by the newsletter service to third parties. The subscription to our newsletter may be terminated by the data subject at any time. The consent to the storage of personal data, which the data subject has given for shipping the newsletter, may be revoked at any time. For the purpose of revocation of consent, a corresponding link is found in each newsletter. It is also possible to unsubscribe from the newsletter at any time directly on the website of the controller, or to communicate this to the controller in a different way. 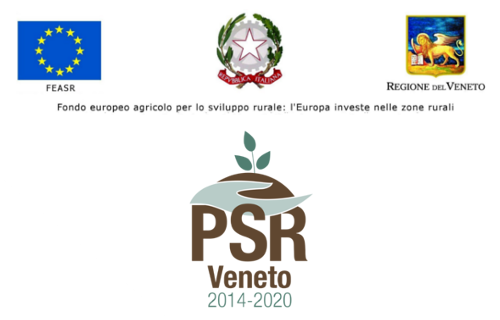 The newsletter of Tenuta Goro Veneto contains so-called tracking pixels. A tracking pixel is a miniature graphic embedded in such e-mails, which are sent in HTML format to enable log file recording and analysis. This allows a statistical analysis of the success or failure of online marketing campaigns. Based on the embedded tracking pixel, Tenuta Goro Veneto may see if and when an e-mail was opened by a data subject, and which links in the e-mail were called up by data subjects. Such personal data collected in the tracking pixels contained in the newsletters are stored and analyzed by the controller in order to optimize the shipping of the newsletter, as well as to adapt the content of future newsletters even better to the interests of the data subject. These personal data will not be passed on to third parties. Data subjects are at any time entitled to revoke the respective separate declaration of consent issued by means of the double-opt-in procedure. After a revocation, these personal data will be deleted by the controller. Tenuta Goro Veneto automatically regards a withdrawal from the receipt of the newsletter as a revocation. The website of Tenuta Goro Veneto contains information that enables a quick electronic contact to our enterprise, as well as direct communication with us, which also includes a general address of the so-called electronic mail (e-mail address). If a data subject contacts the controller by e-mail or via a contact form, the personal data transmitted by the data subject are automatically stored. Such personal data transmitted on a voluntary basis by a data subject to the data controller are stored for the purpose of processing or contacting the data subject. There is no transfer of this personal data to third parties. granted by the European legislator or other legislators in laws or regulations to which the controller is subject to. If the storage purpose is not applicable, or if a storage period prescribed by the European legislator or another competent legislator expires, the personal data are routinely blocked or erased in accordance with legal requirements. where the personal data are not collected from the data subject, any available information as to their source; o the existence of automated decision-making, including profiling, referred to in Article 22(1) and (4) of the GDPR and, at least in those cases, meaningful information about the logic involved, as well as the significance and envisaged consequences of such processing for the data subject. transfer. If a data subject wishes to avail himself of this right of access, he or she may at any time contact our Data Protection Officer or another employee of the controller. The personal data have been collected in relation to the offer of information society services referred to in Article 8(1) of the GDPR. If one of the aforementioned reasons applies, and a data subject wishes to request the erasure of personal data stored by Tenuta Goro Veneto, he or she may at any time contact our Data Protection Officer or another employee of the controller. The Data Protection Officer of Tenuta Goro Veneto or another employee shall promptly ensure that the erasure request is complied with immediately. Where the controller has made personal data public and is obliged pursuant to Article 17(1) to erase the personal data, the controller, taking account of available technology and the cost of implementation, shall take reasonable steps, including technical measures, to inform other controllers processing the personal data that the data subject has requested erasure by such controllers of any links to, or copy or replication of, those personal data, as far as processing is not required. The Data Protection Officer of Tenuta Goro Veneto or another employee will arrange the necessary measures in individual cases. The data subject has objected to processing pursuant to Article 21(1) of the GDPR pending the verification whether the legitimate grounds of the controller override those of the data subject. If one of the aforementioned conditions is met, and a data subject wishes to request the restriction of the processing of personal data stored by Tenuta Goro Veneto, he or she may at any time contact our Data Protection Officer or another employee of the controller. The Data Protection Officer of Tenuta Goro Veneto or another employee will arrange the restriction of the processing. (1) of the GDPR, and the processing is carried out by automated means, as long as the processing is not necessary for the performance of a task carried out in the public interest or in the exercise of official authority vested in the controller. Furthermore, in exercising his or her right to data portability pursuant to Article 20(1) of the GDPR, the data subject shall have the right to have personal data transmitted directly from one controller to another, where technically feasible and when doing so does not adversely affect the rights and freedoms of others. In order to assert the right to data portability, the data subject may at any time contact the Data Protection Officer designated by Tenuta Goro Veneto or another employee. processing of personal data concerning him or her, which is based on point (e) or (f) of Article 6(1) of the GDPR. This also applies to profiling based on these provisions. Tenuta Goro Veneto shall no longer process the personal data in the event of the objection, unless we can demonstrate compelling legitimate grounds for the processing which override the interests, rights and freedoms of the data subject, or for the establishment, exercise or defence of legal claims. If Tenuta Goro Veneto processes personal data for direct marketing purposes, the data subject shall have the right to object at any time to processing of personal data concerning him or her for such marketing. This applies to profiling to the extent that it is related to such direct marketing. If the data subject objects to Tenuta Goro Veneto to the processing for direct marketing purposes, Tenuta Goro Veneto will no longer process the personal data for these purposes. In addition, the data subject has the right, on grounds relating to his or her particular situation, to object to processing of personal data concerning him or her by Tenuta Goro Veneto for scientific or historical research purposes, or for statistical purposes pursuant to Article 89(1) of the GDPR, unless the processing is necessary for the performance of a task carried out for reasons of public interest. In order to exercise the right to object, the data subject may directly contact the Data Protection Officer of Tenuta Goro Veneto or another employee. In addition, the data subject is free in the context of the use of information society services, and notwithstanding Directive 2002/58/EC, to use his or her right to object by automated means using technical specifications. Each data subject shall have the right granted by the European legislator not to be subject to a decision based solely on automated processing, including profiling, which produces legal effects concerning him or her, or similarly significantly affects him or her, as long as the decision (1) is not is necessary for entering into, or the performance of, a contract between the data subject and a data controller, or (2) is not authorized by Union or Member State law to which the controller is subject and which also lays down suitable measures to safeguard the data subject’s rights and freedoms and legitimate interests, or (3) is not based on the data subject’s explicit consent. If the decision (1) is necessary for entering into, or the performance of, a contract between the data subject and a data controller, or (2) it is based on the data subject’s explicit consent, Tenuta Goro Veneto shall implement suitable measures to safeguard the data subject’s rights and freedoms and legitimate interests, at least the right to obtain human intervention on the part of the controller, to express his or her point of view and contest the decision. If the data subject wishes to exercise the rights concerning automated individual decision-making, he or she may at any time directly contact our Data Protection Officer of Tenuta Goro Veneto or another employee of the controller. Each data subject shall have the right granted by the European legislator to withdraw his or her consent to processing of his or her personal data at any time of the data subject wishes to exercise the right to withdraw the consent, he or she may at any time directly contact our Data Protection Officer of Tenuta Goro Veneto or another employee of the controller. data is necessary for the performance of a contract to which the data subject is party, as is the case, for example, when processing operations are necessary for the supply of goods or to provide any other service, the processing is based on Article 6(1) lit. b GDPR. The same applies to such processing operations which are necessary for carrying out pre-contractual measures, for example in the case of inquiries concerning our products or services. Is our company subject to a legal obligation by which processing of personal data is required, such as for the fulfillment of tax obligations, the processing is based on Art. 6(1) lit. c GDPR. In rare cases, the processing of personal data may be necessary to protect the vital interests of the data subject or of another natural person. This would be the case, for example, if a visitor were injured in our company and his name, age, health insurance data or other vital information would have to be passed on to a doctor, hospital or other third party. Then the processing would be based on Art. 6(1) lit. d GDPR. Finally, processing operations could be based on Article 6(1) lit. f GDPR. This legal basis is used for processing operations which are not covered by any of the above mentioned legal grounds, if processing is necessary for the purposes of the legitimate interests pursued by our company or by a third party, except where such interests are overridden by the interests or fundamental rights and freedoms of the data subject which require protection of personal data. Such processing operations are particularly permissible because they have been specifically mentioned by the European legislator. He considered that a legitimate interest could be assumed if the data subject is a client of the controller (Recital47 Sentence 2 GDPR). 15. Provision of personal data as statutory or contractual requirement; Requirement necessary to enter into a contract; Obligation of the data subject to provide the personal data; possible consequences of failure to provide such data. We clarify that the provision of personal data is partly required by law (e.g. tax regulations) or can also result from contractual provisions (e.g. information on the contractual partner). Sometimes it may be necessary to conclude a contract that the data subject provides us with personal data, which must subsequently be processed by us. The data subject is, for example, obliged to provide us with personal data when our company signs a contract with him or her. The non provision of the personal data would have the consequence that the contract with the data subject could not be concluded. Before personal data is provided by the data subject, the data subject must contact our Data Protection Officer. Our Data Protection Officer clarifies to the data subject whether the provision of the personal data is required by law or contract or is necessary for the conclusion of the contract, whether there is an obligation to provide the personal data and the consequences of non-provision of the personal data.